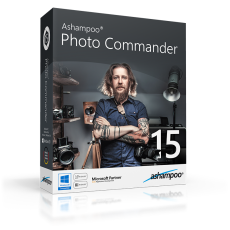 The new Ashampoo Photo Commander 15 is the comprehensive solution to view, edit and organize your photos, geotagging included! Bring order to your photo library, batch-optimize multiple files at once or create and design your own calendars, greeting cards and slideshows with ease. Control and navigate through your slideshows on your PC while the slides appear on an external display or beamer! With just a few clicks, beginners, amateurs and professionals alike will achieve stunning results. As your library grows, it becomes increasingly harder to keep track of all of your photos. The many filter and grouping settings help you sift through your library based on location, date, format or rating. Sort your photos chronologically, thematically or based on individual criteria and add more structure to your photo collection. Modern cellphones and cameras use geotagging to store data on the location each shot was taken. Ashampoo Photo Commander 15 not only processes this data but will turn longitudes and latitudes into usable addresses! Vacation, family or business-related photos are now more accessible than ever before! Are your images missing geotags? No problem! Create them yourself for any number of photos, no expert knowledge required. Simply fill in position or address and you're all set. From now on, Photo Commander can filter through your images by location and help you find exactly what you're looking for no matter how big your collection is. Or browse through your vacation photos based on your recent trip from start to finish - it couldn't be any easier. Whether you're enjoying your photos on your own or with friends, you'll love the new presentation mode. Use your primary display to control the flow and your secondary display to present your photos! Also great for beamers, modify your photos in real time without leaving the presentation. Coupled with the new, seamless animations you can now add a powerful new presentation tool to your arsenal. Cut out persons or objects with ease or correct red eyes and image defects with just a few clicks. Modify the perspective of your photos, experiment with stunning effects or discover the professional side of this program with gradation curves and tonal value corrections. Anything you want, everything you need. 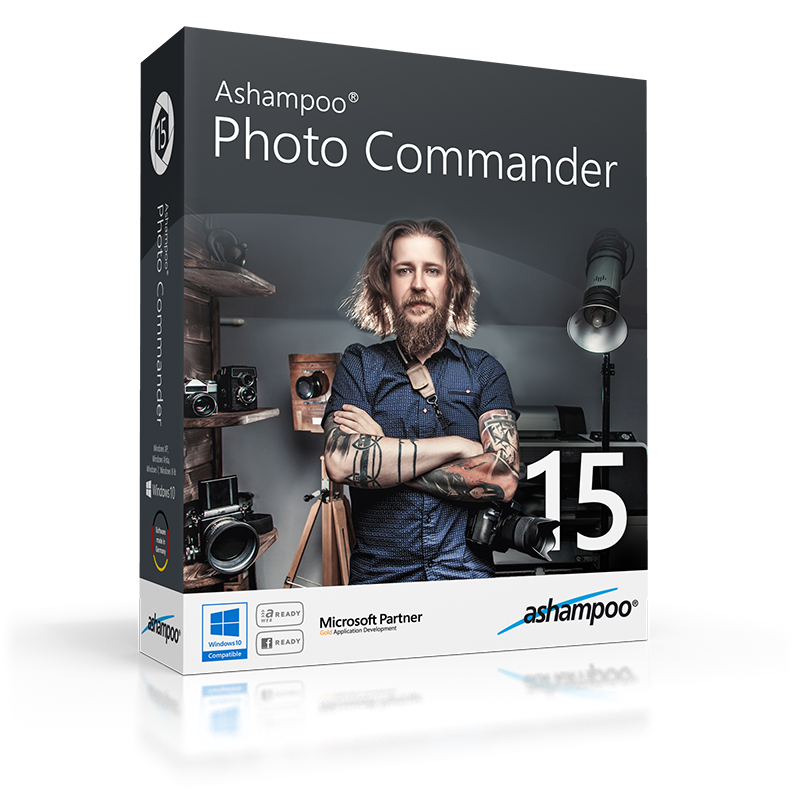 If there ever was a software that deserved the term total package it certainly is Ashampoo’s Photo Commander. There’s virtually nothing that this universal and ingenious program can’t do.